Because I have to study for a big exam, I allow myself to try fancy food every day. 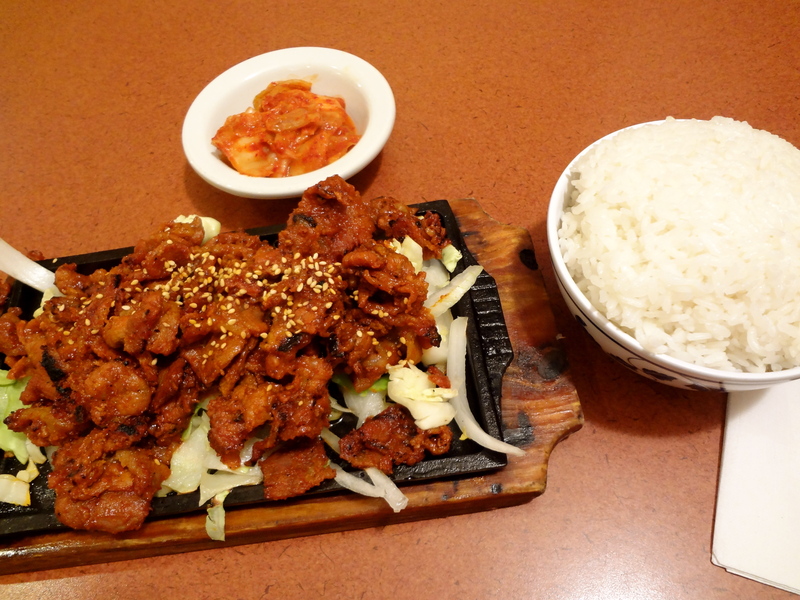 This is spicy pork bulgogi, marinated & grilled. So good! I love Korean food!